My friend, Thomas from Norway, made a variation of this dish for me when I nearly froze to death visited Oslo a few years ago. He used scallops and dried apricots (I’m assuming that apricots do not grow in Norway). It was delicious! So I keep making it, and changing it up a bit here and there. 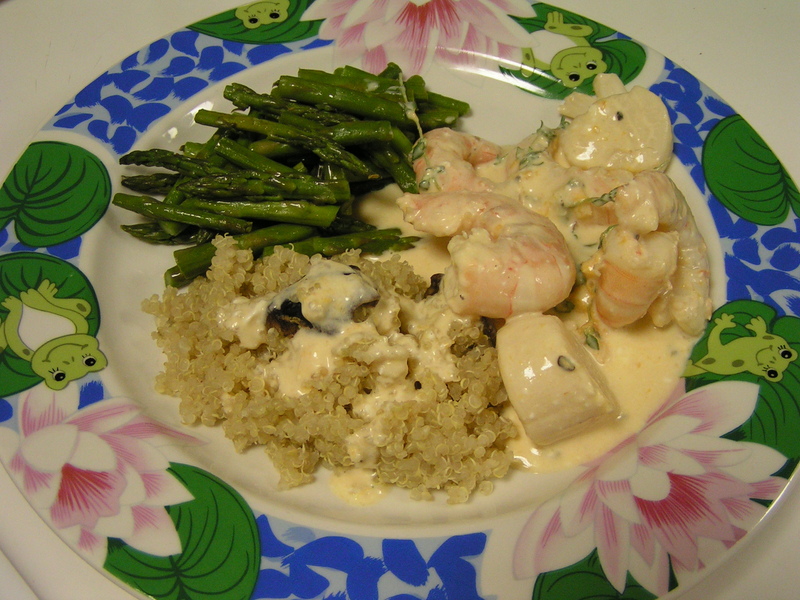 This time I added the shrimp, as it is summertime on the Texas Gulf Coast and the shrimp are fresh and plentiful! Pan seared shellfish is always a winner in my book. I used a little thyme infused olive oil. 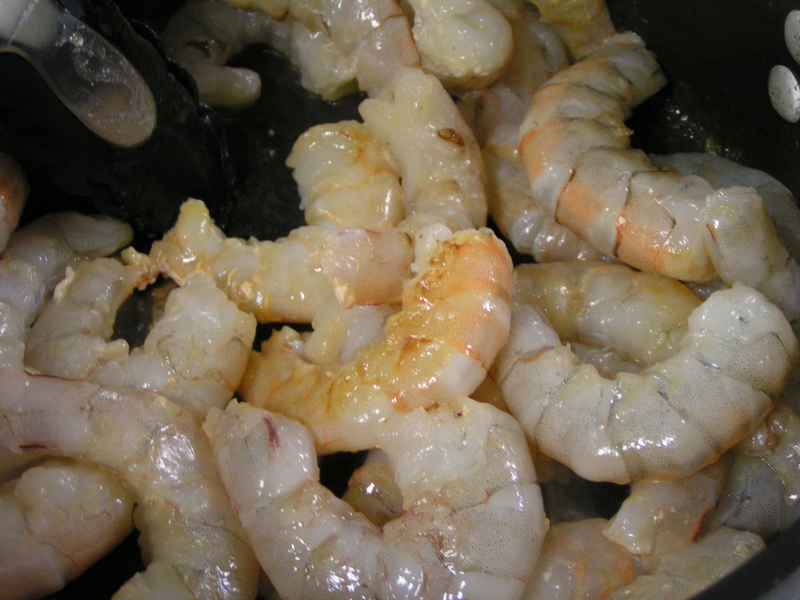 Be sure not to brown them, not cook them all the way though, as you’ll be finishing them in the sauce. 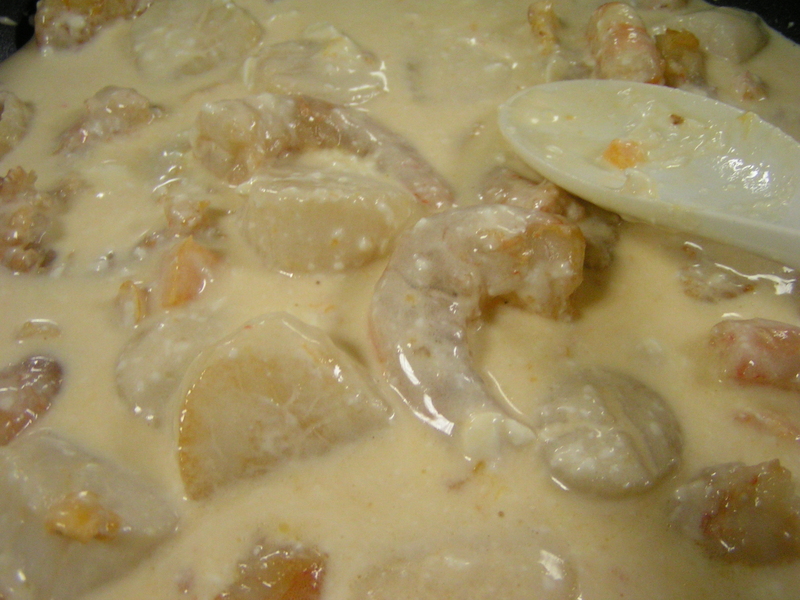 I did the shrimp separately, as you want to gently turn the scallops, but you can stir the shrimp. Mmmmmm. Yummy! 😛 I love shrimp! 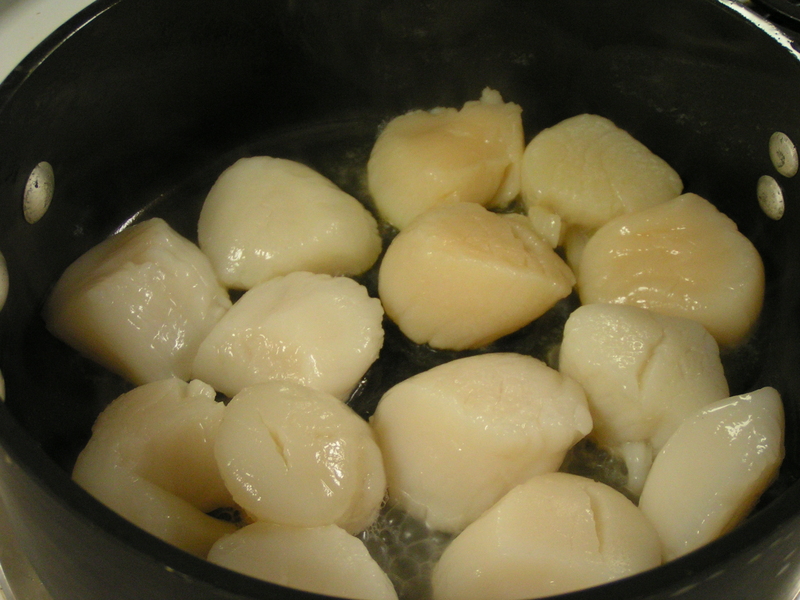 Remove scallops and shrimp to a plate. 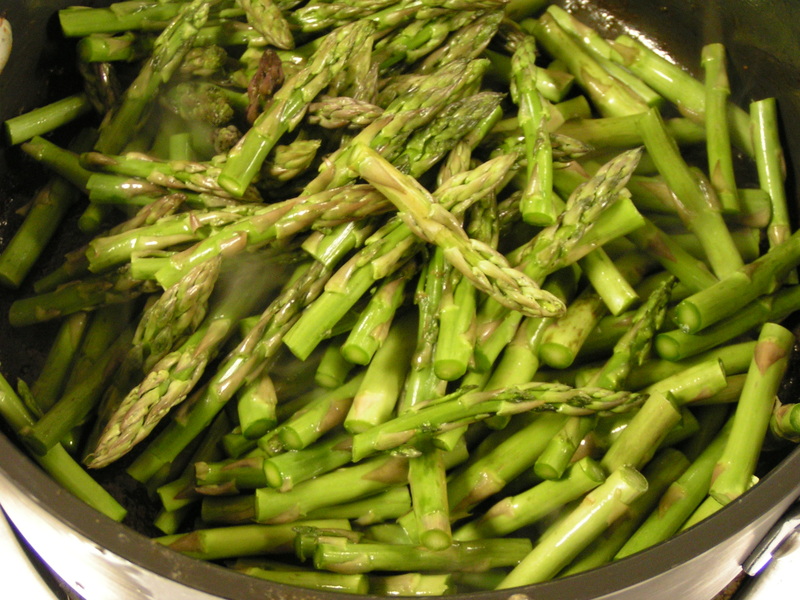 I used the leftover juices in the pan to stir fry/steam some asparagus while preparing the sauce. Just toss it for a minute or so in the hot pan, cover and remove from heat. By the time the sauce is done, so is the asparagus. For the sauce, I used a larger pan on low heat. Start by melting the cream cheese (the variety of which is your choice entirely), adding a little white wine to thin the melting cheese. I used about 1/4 cup wine for a 8 oz. block of mascarpone. 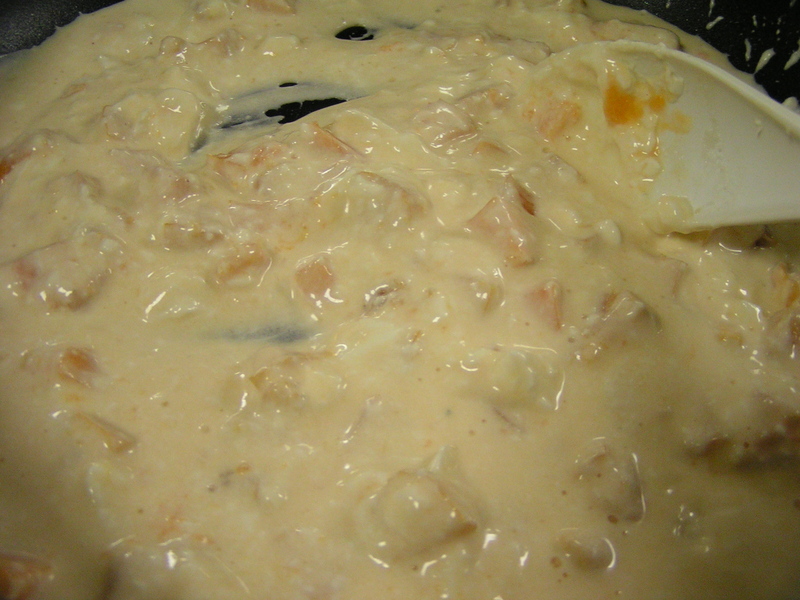 When the cheese is melted, add the diced apricots. Let the sauce simmer just slightly, stirring until all the lumps are incorporated. Not the apricot lumps. They will stay lumpy. 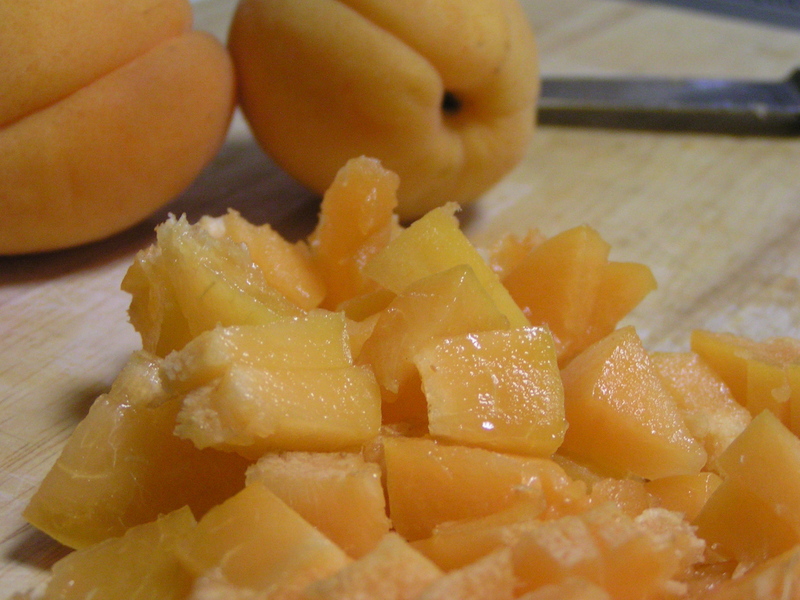 The sauce will take on a gorgeous pale apricot color from the juice. I made some quinoa with shitake mushrooms to go with this saucy seafood dish. Pasta and rice are also good choices, as you want something to soak up the extra sauce. It’s so good, you’ll want to lick the plate if there’s no other way to eat it! I added some sprigs of fresh thyme just before serving. Just because it looks pretty. 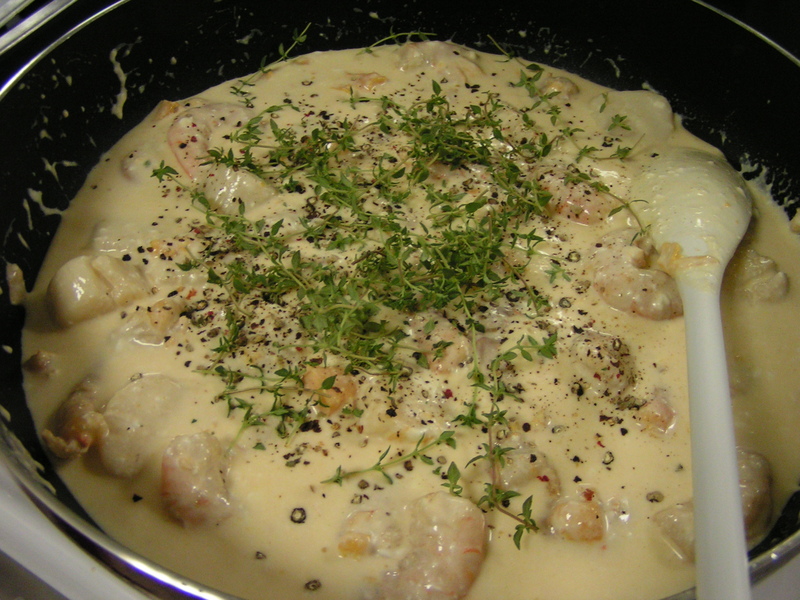 I already had the flavor it the shrimp and scallops from the oil, but more thyme never hurts! And black pepper of course. Yay!! You know Imma gonna try this!